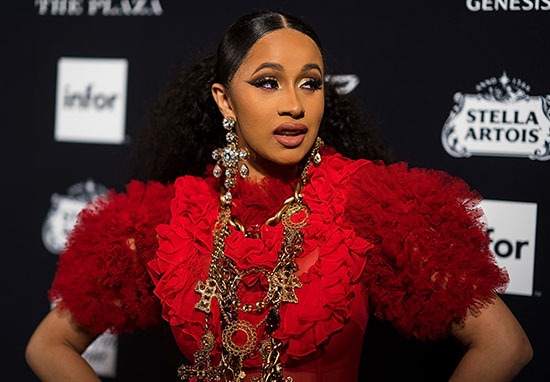 Cardi B used fashion as a weapon when she allegedly threw a shoe at Nicki Minaj during a heated situation at a fashion week party. The two rappers attended the Harper’s Bazaar Icon party in New York yesterday (September 7), where Cardi approached Nicki and her crew. TMZ report various accounts which debate Cardi’s initial intentions, but video evidence appears to show her throwing a shoe at Nicki. Eyewitnesses reportedly described Cardi as ‘aggressively’ approaching Nicki, saying ‘let me tell you something’ before making a lunge for the Super Bass singer. Security at the event are said to have stopped Cardi before she reached Nicki. The sources add they believe security had a plan if Cardi were to come near Minaj, and one of them elbowed her in the face. Following the elbow incident, Cardi then pulled off her shoe and hurled it across the room towards the star. Nicki apparently remained cool throughout the situation, and didn’t even flinch when the shoe came flying towards her. However, Cardi’s apparent aim for Nicki failed her. The new mother was later seen being escorted out of the building, along with her team. The scene was f**king crazy. It was entourage against entourage. 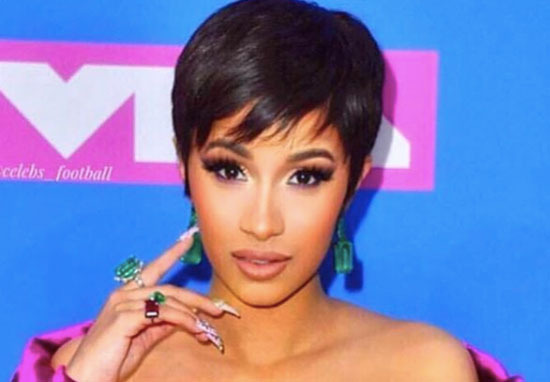 Following the dramatic events, Cardi posted to Instagram with a message, many think is directed at Nicki. I think you could call the dramatic events of the night a fashion disaster.